Dr. Guy Minoli graduated from Fordham University and earned his Doctorate of Dental Surgery from the State University of New York at Buffalo School of Dentistry. He completed the General Practice Residency Program at The New York Presbyterian Hospital/Cornell University Medical College. 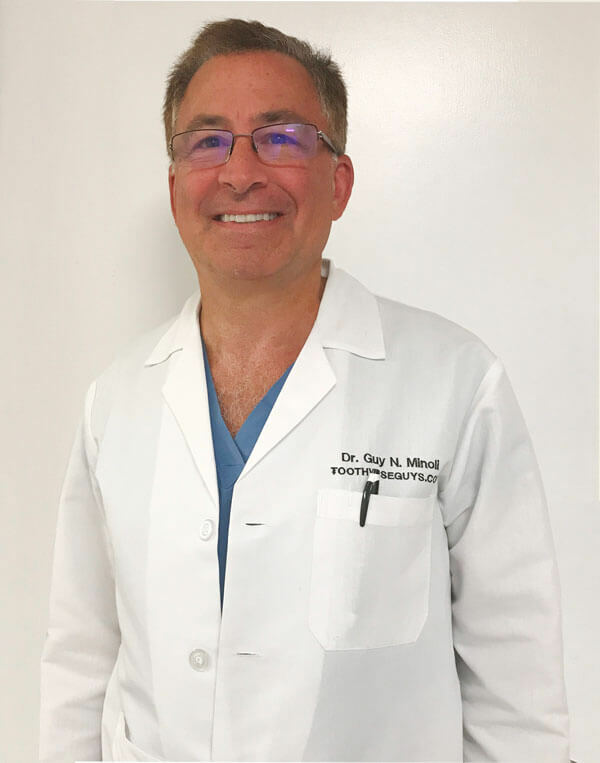 Dr. Minoli was the Chief Consulting Dentist at Mary Manning Walsh Home in New York and has served as Supervisor of the General Practice Residency Program at the NYPH/CUMC. He is currently an Assistant Attending at the New York Hospital and an Assistant Professor at Cornell Medical College. Dr. Minoli is a member of the American Dental Association. The Dental Society of the State of New York, the Ninth District Dental Society, an associate member of the First District Dental Society. He has served as President of the New York Academy of Dentistry, President of The Eastchester Dental Society and Chair of the NY Section of the very prestigious American College of Dentists. Dr. Minoli is the Director of a Nationally Awarded Mentoring Program that he initiated in 2013.